Kukje Art Center, Seoul, South Korea. When Florian Idenburg, a native of the Netherlands, and Jing Liu, a native of China, set up shop in Brooklyn, they split the geographic and cultural distance between their homelands. Now celebrating their fifth year, SO – IL started at an inauspicious moment. “We started the day Lehman Brothers went belly-up,” Idenburg said. “It was a moment when architecture needed to redefine itself.” The crisis gave them time to explore and find their own ideas as a young firm. 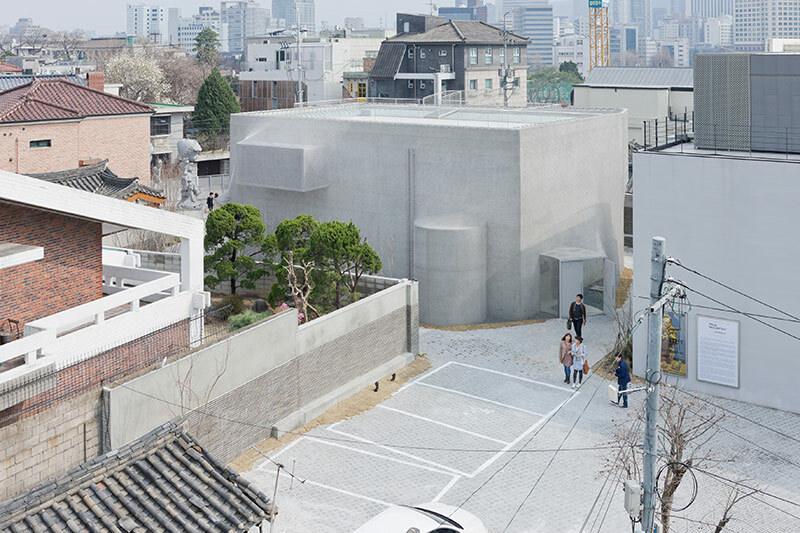 A recent project, an art center in Korea, exemplifies their approach. Citing a white box as the ideal gallery space, the principals went about creating exactly that. 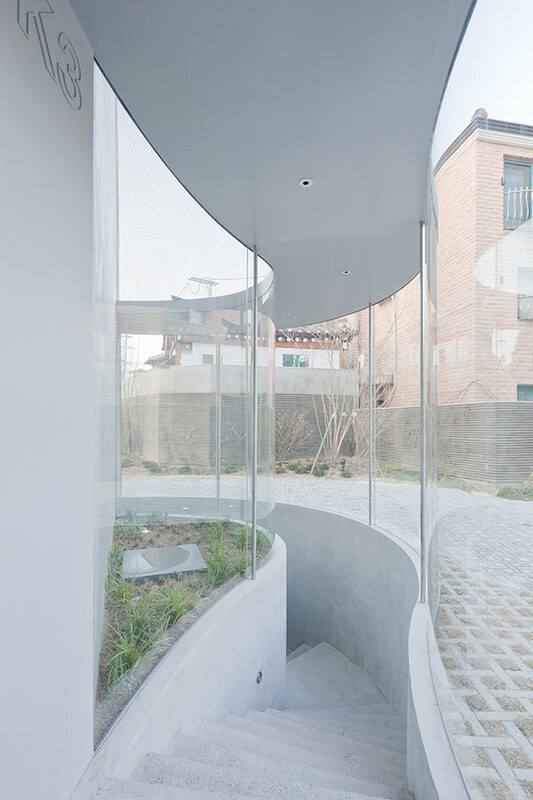 The interior is a perfect white box, while circulation spaces are pushed outside the box, creating curved protrusions on the exterior. They then developed a chain mail-like mesh veil, pulled in tension over the building, creating an ambiguous, slightly blurred relationship of inside and out, somewhat obscuring the exact mass of the building. Back in New York, they earned a prominent profile with their installation for the P.S. 1 courtyard, Pole Dance, which included movable poles attached to nets holding beach balls above the heads of the audience. The playful structure celebrated the festive, nonserious atmosphere of the museum’s outdoor parties and concerts. 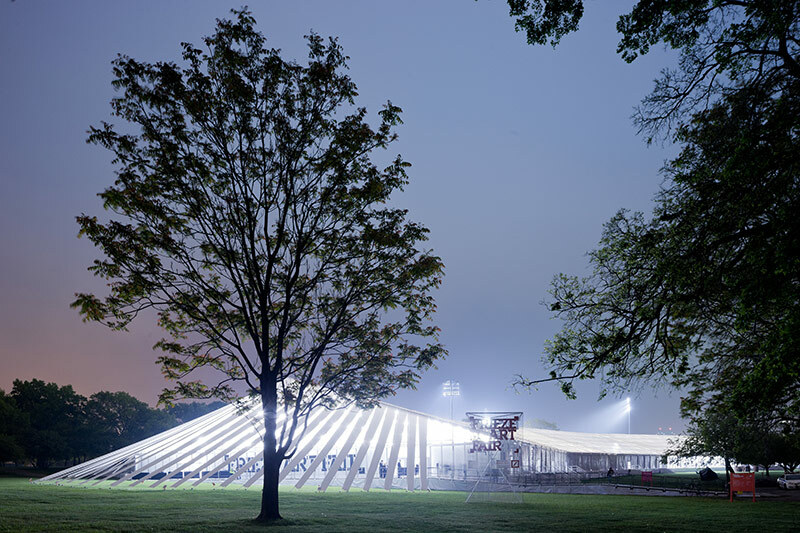 That project also helped SO – IL win a commission for the tent for the inaugural Frieze New York art fair on Randall’s Island, which they approached urbanistically. To break up the monotony of the massive tent, they spliced it to provide views out to the landscape, and create moments for repose and informal gathering. For an upcoming retail project, they are redesigning the facade of a prominent Fifth Avenue space to include a multi-story-faceted, mirrored display area. While visual effects seem a common theme, their goal is more about changing the way people use and perceive space. “In many of our projects, we’re interested in finding some kind of border or layer or edge, which determines relations between people and program,” Idenburg said.